As a young, unemployed mum, Semone knew she needed to make some big life changes in order to support her family; she just wasn’t sure where to start. After losing her low-paid job, she had been unable to pay her rent and was forced to move back in with her parents. Unable to find more work, she spiralled into a depression and often felt like life was not worth living. Luckily Semone was introduced to the Jamaican Youth Business Trust (JYBT), which is supported by a Queen’s Young Leaders Grant. The project helps young people build a brighter future for themselves by providing opportunities for them to learn new skills and find employment within the agricultural sector. Through training programmes like Its Youth in Agriculture programme, it provides financial support and practical tuition, such as teaching young people how to plant and tend different crops, to help aspiring farmers achieve their dream of creating their own start-ups. 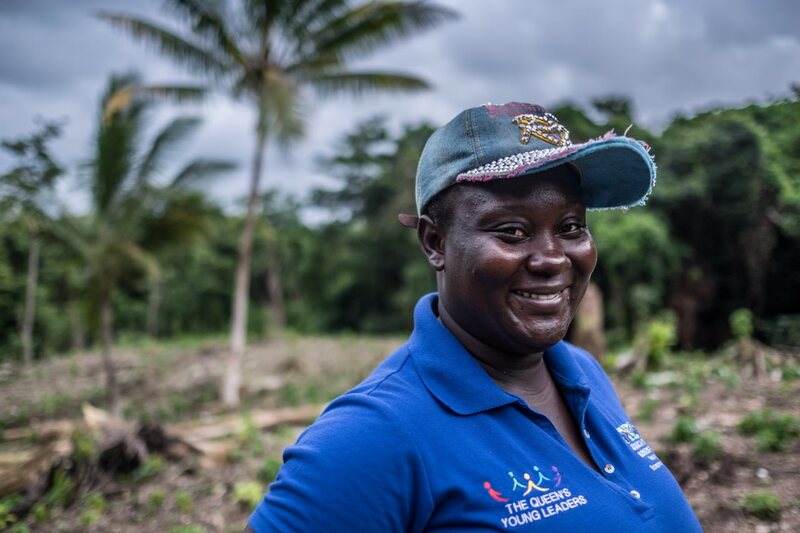 Despite the fact that her family were farmers, Semone had never imagined that she would do the same. However despite her initial reservations, Semone was surprised to discover that she enjoyed learning the new farming techniques and thinking about how she could improve her yields. She began farming a small area of land and is already producing thousands of Jamaican Scotch Bonnet peppers. Her efforts have been so successful she is now trying out new crops such as pumpkins, melons and corn. This year’s World Food Day theme is #ZeroHunger and Semone is proud that she is now able to provide for her two daughters and has even been able to help out other members of her family.